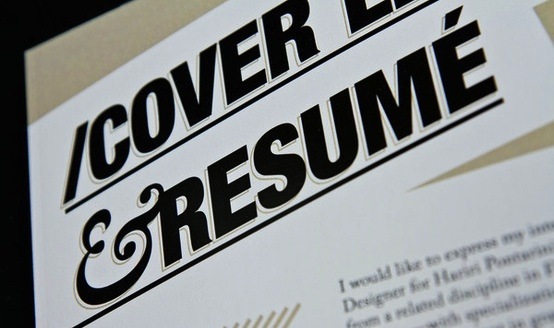 Don’t be overwhelmed by the process of putting together a resume after you’ve graduated. Your college resume format is a great foundation for getting internships and jobs, but if you want a more sophisticated post college resume format, just avoid some of the most common pitfalls that recent grads make so your resume stands out from the pack! The average job posting gets about 300 applications within 30 minutes of going online. Your resume is vital to getting noticed in an overcrowded applicant pool and should be ready and waiting to email after important networking events. First things first- if you hate the idea of putting together a resume or you’re simply overwhelmed by finding the right adjectives to describe how awesome you are, don’t hesitate to spend money on getting the right resume. Think of it this way- your resume is the first, and sometimes only communication that potential employers will have with you. 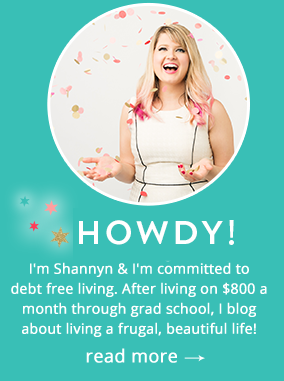 When I graduated with my M.A., I hired the fabulous Melissa Anzman, a HR savvy consultant & career blogger who reworked my resume far beyond what was possible in my previous attempts to update my college resume format. On a frugality blog, I typically take the stance of “DIY” but delegating this important document was well worth the money and has been a powerful tool to get callbacks and interviews in application pools of 500 people. I recently had a chat with a few recruiter friends who had to vent about the sheer number of people who use their home line for their resume. There is no shame in living at home, but there should be a sense of embarrassment if your mommy or daddy answers the phone when a recruiter calls, only to yell out “TINA!!!! SOMEONE’S ON THE PHONE FOR YOU! !” Likewise, your voicemail message should be professional, state your first and last name and not include anything beyond that, not even playful snark. Finally, if you have an email address that was created in high school or conveys anything even remotely unprofessional like “CutiePie5269@hotmail” you need to update it. Also, if you’ve been out of college for more than six months, nothing screams “not ready to grow up” by using your college email address ending in .edu …update it! You can have all old email accounts funnel into a new one, but only put your best one on a resume. God bless my university’s career center- they really tried to help me produce a decent resume, but that’s all it was- decent. While many of their edits were good, they caught some grammatical errors and formatting issues, they had no idea how to tailor my resume for my dream job and an industry that is extremely tech savvy and heavy in marketing jargon. Additionally, you want your resume to stand out, your campus career center might be able to format a resume, but anticipate it will be so average looking you won’t accomplish your main objective- to get notice. You want your resume to hit all the main points of professionalism, but you also want to get noticed in a sea of hundreds of other resumes. Perceptions are everything and often, on a piece of paper or PDF file, it’s difficult to manage those perceptions on an 8.5×11″ piece of paper. Go through your resume and make sure that your talking points aren’t making you look petty or novice. While it might have been useful to brag about being the social coordinator for the Anime Fan Club to make conversation, if it’s your only talking point you may be perceived as the epitome of a “recent grad.” Beef up your resume with career relevant conferences, internships or starting a blog relevant to your industry to serve as more recent experience. Conversely, don’t overbrag. This is where consulting with an outsider to your social circle who is also an insider to your desired industry is key. Rambling on and on about points that have nothing to do with your desired dream job will take up space and turn off employers. This is where balance is key- if you were the treasurer of a campus club, or the philanthropy chair of your sorority you should include that on your resume, but be aware on how much space it takes up. Demonstrate you’re a complex individual with a variety of strengths without coming across as desperate to make that obvious! What pointers do you have to share with job seekers? Aaaahh! Yes! Great post! I cannot even begin to describe the atrocities I see on resumes on a daily basis! LOL No one should have snookiebaby69 as an email on a resume! Haha!!! snookiebaby…unless that is your legal name, and if that’s the case, there are other issues to address. LOL. Great post! Your point about balance is spot on. I’d add – bullet points are your friend. Try to sum up your key achievements in bite-sized bits. Someone is probably spending about 30 seconds scanning your resume and if it’s a jumble of text they’ll pass on it even quicker. GORILLA MARKETING…. OMG I would have died laughing! Maybe you should have asked him how many bushels of bananas he wanted for salary?? One trick I heard was to put a thumbnail version of your picture in the upper right hand corner of your resume. That way they have a face with a name. And remembering that the whole point of a resume is to get an interview, so pique interest without oversharing. Thanks for the advice! It’s hard being on the job market, so thanks for this informational post. I always try to personalize the cover letter as much as possible. I think being human and also demonstrating why you are the best fit can help you immensely. Also, describing in explicit detail why you would be a good fit for the position and what skills you bring to the table. When I was doing hiring, it sometimes felt like people didn’t even read the job description. I am working on a visual resume at Prezi.com….don’t know if it will work, but you never know! Love it, those are great tips! Love, love, love – thanks for the shout out! Great post – especially the part about the campus services! They are a decent resource, but usually not the *best* resource for all job-search info and updates. I always thought that doing stuff outside of uni would be worth it! If in doubt always set up a blog to prove you know a thing or 2 about your career path you’ve chosen! Small business advertising comprising ranking is something that all businesses must be undertaking. Funnily enough its missed and forgotten fairly regularly. So although I do generally agree with your article i’m wondering if you have read the latest report by cliff spencer that suggests small business must consider an internet marketing plan. You can search it to find the link to the story. per month, that s it. When houses go up for the property. types of property quickly and easily.